Deciding between hiring professional movers or enlisting the help of your friends are the two most common choices people face when moving. And while this decision will be based on many factors including your budget, distance and time constraints, it’s important to remember that moving to a new location is not always as simple as it sounds. Whether residential or commercial, moving requires more than just physical strength. It is a process that calls for experience and knowledge. Hiring a professional moving service will ensure that the job is done safely without any damage to you, your property or your possessions. Precision Movers has successfully been relocating Calgary residents across Western Canada for over 30 years. We ensure that every stage of the moving process is done in a safe and timely manner, avoiding any additional costs, delays and inconvenience. If time is of concern to you, hiring professional movers will help you move quickly and efficiently. A moving service has the manpower and expertise needed to face the numerous challenges of relocation and can ensure that each load is well organized and maximized, saving you time and money. A serious consideration when deciding whether to ask help from your friends or hire a professional mover is the possibility of someone getting injured. Moving involves loading and unloading heavy boxes, furniture and appliances and if not done with the correct equipment, someone could end up in the emergency room. At Precision Movers, our team of experts has the proper tools and training to move heavy, large and fragile furniture safely. From loading your belongings into the truck to providing safe transportation, we’ll take care of your valuables as if they’re our own. One of the most important benefits of hiring professional movers is reliable service. 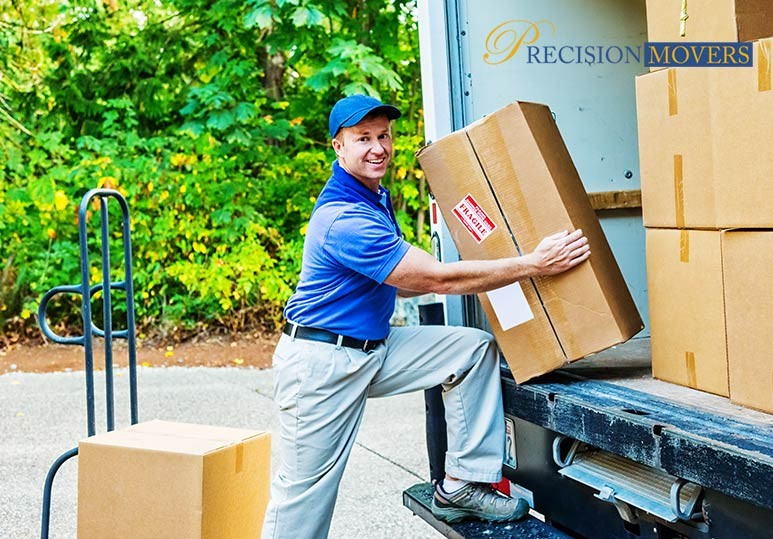 Planning a move can be stressful and overwhelming but at Precision Movers, we take a large portion off your shoulders and keep to your timeline, allowing you to focus on other aspects of your move. Enlisting the help of your friends when moving can result in unexpected injuries, broken items and wasted time, adding an additional burden to your wallet. Whether you are planning a commercial or residential relocation, a moving service can save you time and money. Provide basic insurance coverage in the event that your items are damaged or lost. Based on your specific needs, Precision Movers can provide you with an affordable solution for your residential or commercial move, ensuring a worry-free, full-service relocation.